COMPLETE SOLUTION FOR EFFICIENT, RESTFUL AND REFRESHING SLEEP: Bulletproof Sleep Mode is a complete solution engineered to help you fall asleep faster and get the most efficient night’s rest possible, night in, night out. 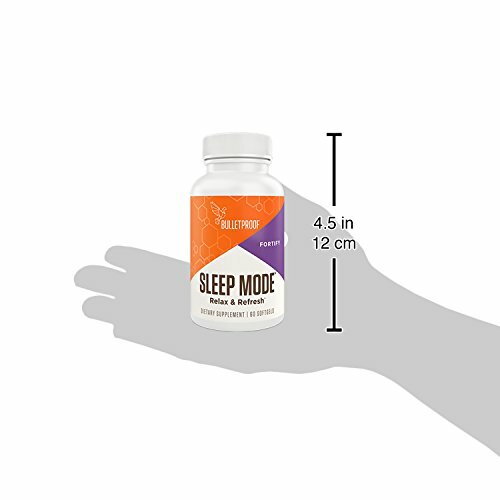 Bulletproof Sleep Mode combines ingredients shown to have unique effects of relieving stress, strengthening a normal pattern of sleep, and increasing the time you spend in actual restorative sleep. 100% PLANT-SOURCED, BIO-IDENTICAL MELATONIN: Bulletproof Sleep Mode contains a 0.3mg (300mcg) physiological dose of melatonin supported by scientific research – just enough to boost sleep efficiency, the time where you are getting your best restorative sleep. 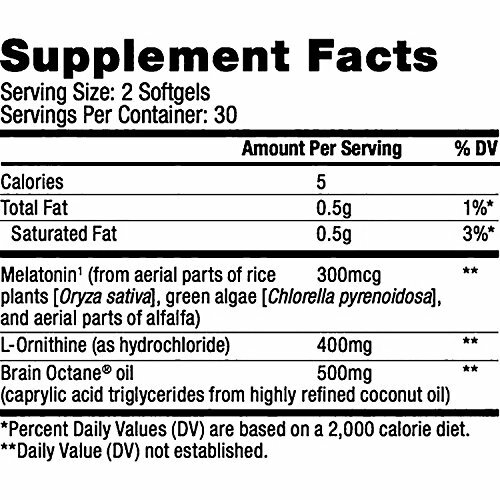 Plus, unlike the vast majority of melatonin on the market – which are either extracted from animal pineal glands or artificially created in a lab – the bio-identical melatonin in Sleep Mode is 100% plant-sourced from Herbatonin. 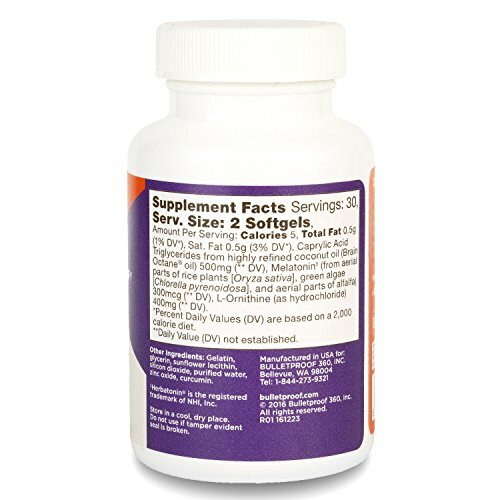 SUPPORTS STABLE ENERGY DURING SLEEP: To help maintain consistent energy during sleep – when your body is working hard to repair muscle, consolidate memory, release growth and appetite hormones, and other critical tasks – Sleep Mode contains Bulletproof Brain Octane oil to keep you going with hyper-efficient ketone fuel. HIGH QUALITY STANDARDS ENSURE PURITY AND POTENCY: Bulletproof supplements are backed by the most cutting-edge research, science, and technology. Sourced from the best, most bioavailable ingredients possible – all Bulletproof supplements are 100% non-GMO, soy, and gluten-free, with no artificial colors, added preservatives, or any other junk. They undergo strict lab testing to ensure they meet the rigorous quality standards of the Bulletproof Process – ensuring purity and potency. 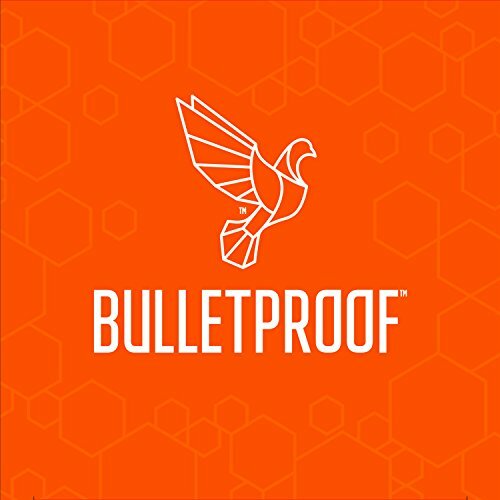 THE BULLETPROOF MISSION: Our mission is to help people perform better, think faster, and live better using a proven blend of ancient knowledge and brand new technologies, tempered by research, science, and measured results from our customers, top athletes, and medical professionals. Our supplements, foods, and technologies are the purest you can get, and you can expect to feel a difference in how you perform the first time you experience them. Details: Bulletproof Sleep Mode is a complete solution engineered to help you fall asleep faster and get the most efficient night’s rest possible, night in, night out. After all, while many sleep supplements out there focus solely on getting you to sleep – your energy during the day depends just as much on how much time you spend in actual restorative sleep throughout the night, rather than tossing and turning or staring at the ceiling. 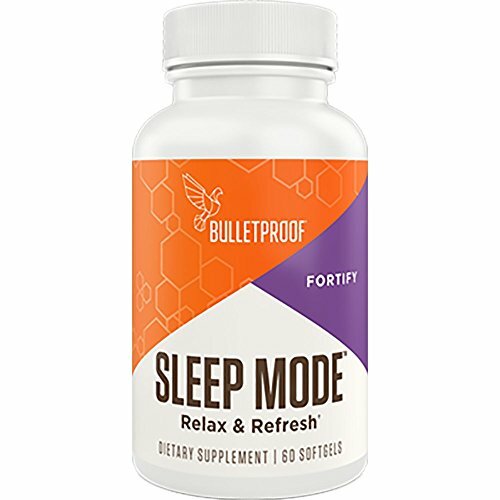 Bulletproof Sleep Mode combines ingredients shown to have unique effects of relieving stress, strengthening a normal pattern of sleep, and increasing the time you spend in actual restorative sleep. Melatonin is a natural hormone released in the absence of light that quickly crosses the blood-brain-barrier to support your circadian rhythm and help you fall asleep. It’s an ingredient commonly found in many sleep supplements at higher doses (1-10mg or more), but too much melatonin can leave you with an unnatural spike of melatonin into the next day. That’s why Bulletproof Sleep Mode contains a 0.3mg (300mcg) physiological dose of melatonin supported by scientific research – just enough to boost sleep efficiency, the time where you are getting your best restorative sleep. Plus, unlike the vast majority of melatonin on the market – which are either extracted from animal pineal glands or artificially created in a lab – the bio-identical melatonin in Sleep Mode is 100% plant-sourced from Herbatonin. 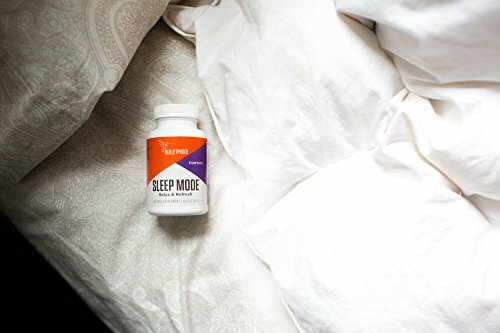 To help you beat stress and power down for the night, Bulletproof Sleep Mode also contains L-Ornithine – an adaptogenic amino acid that lowers the stress marker cortisol and strengthens a normal sleep pattern. 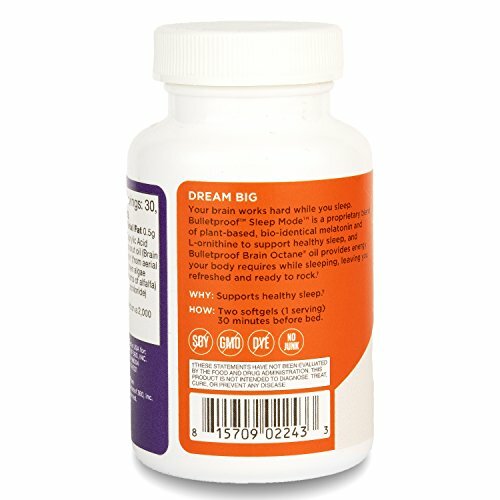 And finally, to help maintain consistent energy during sleep – when your body is working hard to repair muscle, consolidate memory, release growth and appetite hormones, and other critical tasks – Sleep Mode contains Bulletproof Brain Octane oil to keep you going with hyper-efficient ketone fuel.